Your Koordinates ID can be used to sign in to sites powered by the Koordinates platform. 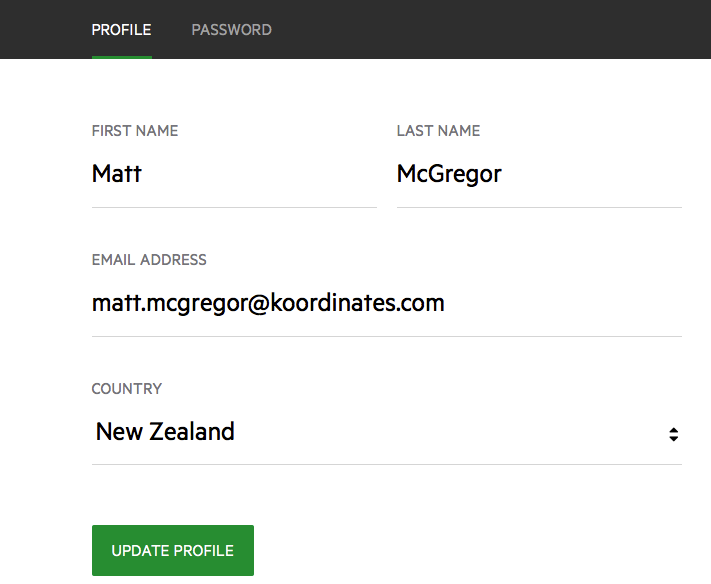 In this guide, we outline how you can edit your Koordinates ID profile, including user name and email address. Note that customers using third party authentication — such as G Suite or Azure AD — will not be able to edit their password, as this is managed outside of Koordinates. Log In can be found in the top menu. After you have signed in, Log In will be replaced by your user name. 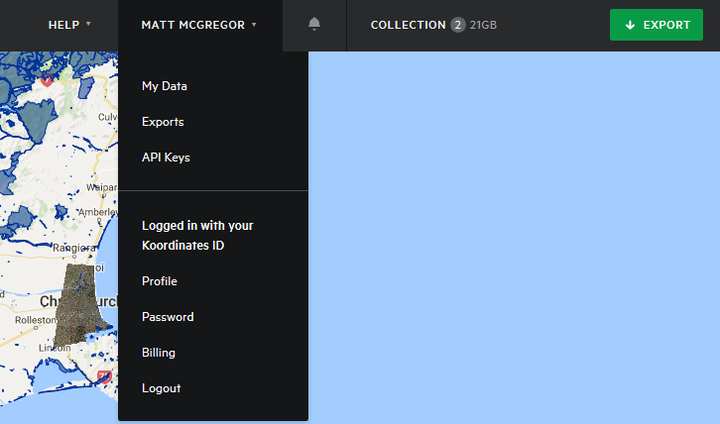 This will give you a drop-down menu of options relating to your account. Simply click on the existing entries to edit or replace your existing Koordinates ID profile. Click Update Profile to save your changes. Select the password tab to be given the option of changing your Koordinates ID password.